In the autumn of 2018 we announced the 2018-2019 Poor Box Ministry would be in support of an Agricultural project through Episcopal Relief & Development. With the Stewardship Committee’s “Apple Theme”, we are raising money to purchase “Fruit Trees”. 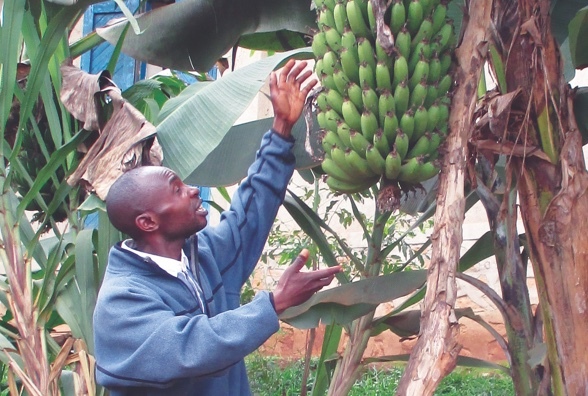 Lemon, mango, avocado and banana trees enrich a family’s food supply and farmland. Fruit trees provide a long-term sustainable source of nutrition and income. Fruit trees planted on hillsides are also used for erosion control, helping farmers maintain their land. On December 31, 2018 donations totaled $864. In mid-December, because of a matching grant incentive, we decided to send ERD a check in the amount of $700 as part of our 2018-2019 Poor Box Ministry. In early January 2019 ERD thanked all donors who helped them meet their Million Dollar Match grant! Your coins, bills and/or checks dropped in the poor box are part of the extra million dollars ERD now has to continue their amazing work. Never under-estimated the impact made by your donations dropped in the poor box each week! We will continue to support the Fruit Tree project in 2019.